A crypt with planks covering the entrance. 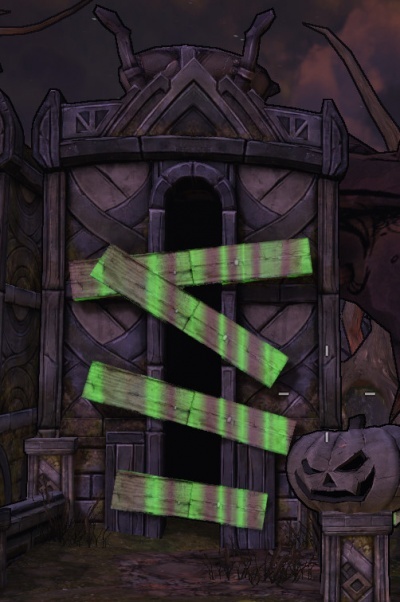 Breaking the boards will reveal either an Enchanted Skeleton or a small group of Reanimated Bandits. This page was last modified on 24 October 2013, at 19:39. Content is available under Creative Commons Attribution Non-Commercial Share Alike unless otherwise noted.